Absolutely stunning antique French bed with inspired rattan and solid mahogany available now. 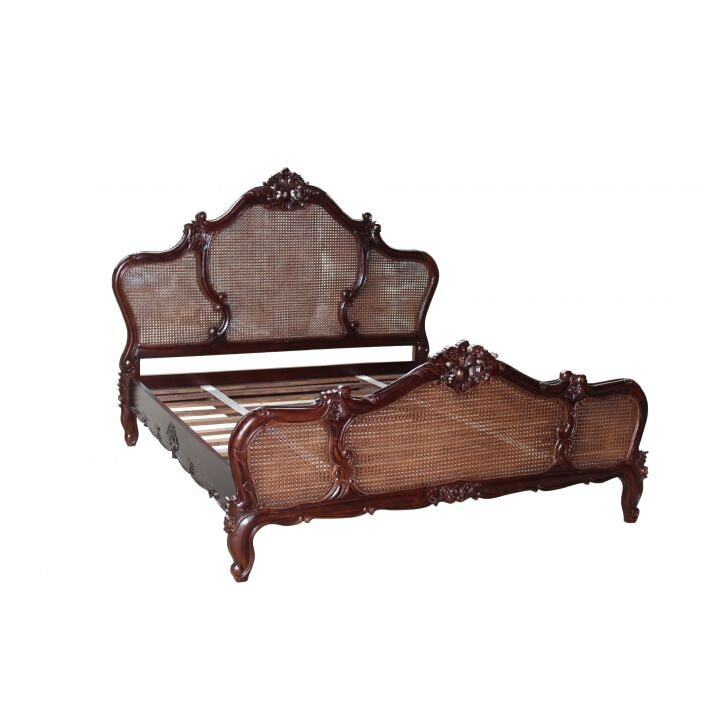 As all of our items this bed is handcrafted using only the finest of materials and works exceptional complimented with our marvelous shabby chic furniture. This bed is supplied semi assembled to enable easy transportation and comes with a slatted base to take a 150 x 200cm Kingsize mattress.